In this issue: forget to remember to forget, a Nazi stronghold on the brink of defeat, and a trip to an alien world populated with warriors from throughout time. 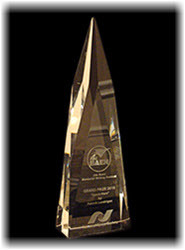 All that plus this year’s Jim Baen Memorial Short Story Award Winner. Germanica: the last stronghold of Nazi propaganda master Josef Goebbels. Goebbels knows that if he can hold out a bit longer, the Allies will back away from unconditional surrender for Germany, and he and his zealots can prepare for the moment when their hateful Nazi ideology is ready once again to rise from its alpine grave and strike at the heart of humanity. But as determined as Goebbels is, there are Americans and a few stalwart Europeans just as determined to put a final stake in the Nazi heart. 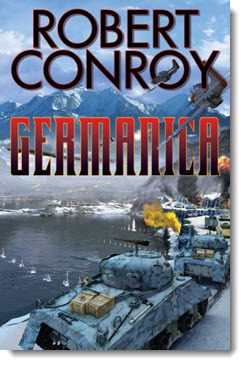 New alternate history from master Robert Conroy. Since 2007, The National Space Society and Baen Books has honored the role that science fiction plays in advancing real science by teaming up to sponsor the Jim Baen Memorial Short Story Award. This year, we’re pleased to congratulate K.B. Rylander, whose story “We Fly” took home first place. They downloaded her consciousness and sent her out among the stars to search for habitable worlds. But no matter how many light-years she travels, Natasha’s memories haunt her. And her humanity remains intact. 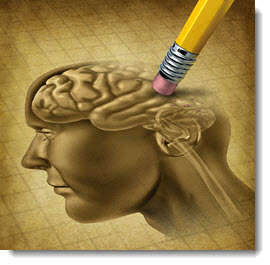 Neuroscience research is continually changing what we think we know about memory . . . and Science Fiction tends to incorporate these ideas. But is SF keeping up? Neuroscience researcher and science educator Dr. Tedd Roberts walks us through the history of memory research and tells us what SF gets right—and wrong—about memory. Read Dr. Tedd Roberts’ “Remember to Remind Me . . .” here. 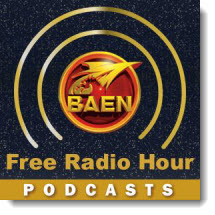 Coming soon to the Baen Free Radio Hour: The contributors of Chicks and Balances talk no-nonsense female warriors; a roundtable discussion of SF master Poul Anderson; and legendary filk musicians! Missed past episodes? No problem. We’ve got every episode archived for your listening pleasure. Nazi propaganda minister Josef Goebbles has retreated to his Alpine stornghold, where he awaits the day when the Third Reich can once again spread like a plague across the globe. But as determined as Goebbels is, there are others just as determined to put a final stake in the Nazi heart. Hauberin, ruler of a Faerie princedom and the target of numerous plots, must search the world where his mother was born—a world where faeries are killed—for the key that will prevent a dying foe's curse. In the far reaches of space they are mankind’s last line of defense against hostile alien forces. They are—the Fleet. The soldiers of the Alliance come from different worlds, different cultures. But they share a common mission: to reclaim occupied space from the savage Khalian invaders. 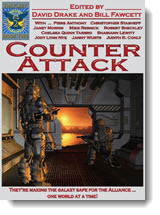 World-crushing war rages between the human/alien Alliance and the predatory Khalians. Led by courageous pilots and marines from all corners of the galaxy, the Alliance Fleet retaliates with blinding force to reclaim conquered worlds, repel invading forces, and destroy enemy strongholds. In the remote darkness of space, they’ve fought the most fiery battles the stars will ever witness. 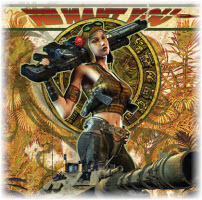 On hellish planets, they've challenged the ruthless advance of the Khalian horde. Now the brave men and women of the Fleet face their greatest challenge ever. At last, after a bloody and ferocious war, their hated and feared Khalian enemies have surrendered. But the brave men and women of the Fleet cannot enjoy their hard-won victory, for now they face the secret power behind the Khalian invasion: The ruthless Syndicate of Families. The fortunes of war make for strange alliances. The Khalians, the sworn enemy of humans for three generations, have joined forces with the Fleet against a common foe: The rutheless and mysterious Syndicate of Families. “Every child deserves one miracle,” is the motto of the Fairy Godmothers Union. Raymond Crandall is skeptical whether he wants to be a part of something that sounds so hokey, but to his shock, Ray discovers that the fairy godmothers use real magic. But the proper use of magic and the responsibility that goes with it are not easily learned. A janitor from a supernatural sanitation company must keep his new apprentice alive while battling a deadly imbalance between Purity and Corruption. An epic novel of ancient Egypt by the Pulitzer-Prize winning author of Advise and Consent. The sweeping chronicle of a great and tragic pharaoh who lost his throne for the love of a God. In the glory of ancient Egypt, an epic of a royal family divided, bloody power ploys, and religious wars that nearly tore apart one of the greatest empires in human history. Climate change IS man-made . . . and it’s caused by Druids! A mysterious firm, a gifted meteorologist caught in a web of deceit, and extinction just days away. Planet Pleasure. The one place in the galaxy you seriously want to avoid, but it’s the next stop for Felix Gomez, detective-vampire and undead enforcer. His mission: rescue the bodacious vampiress, the hyper-sexual Carmen Arellano, from the clutches of ruthless warrior aliens.